I have been searching for the “perfect bun” for years now. In order to fit the bill, the hairstyle must be easy to create, last from morning till night and of course, be nothing less than chic. When I first laid eyes on the “sock bun,” I knew that I had finally found my match. As the name suggests, this bun is formed using a single sock. Let me show you how! For starters, find yourself an old (clean) sock in a thin material. Ideally, the colour of the sock should match your hair colour as closely as possible to prevent any telling peek-a-boos. To prepare the sock for hairstyling, snip off the toe section with a pair of scissors so that you are left with a tube of fabric. Now, roll the tube inside out to create a shape that resembles a donut. Next, sweep your hair into a high ponytail and secure it with a hair tie. Pull your hair through the sock “donut” and hold it in place at the end of your ponytail (the tips of your hair). Now, begin rolling the sock towards the base of your ponytail, taking your hair with it as you roll and ensuring that you spread your hair across as evenly as possible. As a rule of thumb, try to roll it downwards using the same motion that created the donut in the first place. Once you have reached the base, tuck in any loose ends and secure your bun with bobby pins. Use hairspray to take care of any fly away strands. It really is that easy! 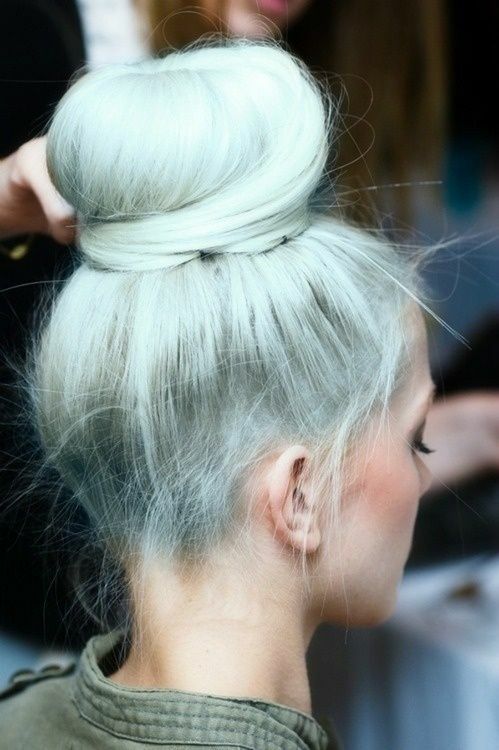 To make your bun look slightly larger, gently tease the hair from the center of the bun in an outward motion. Once you have practiced this look a few times, it will take you less than five minutes to create it, making it the perfect savior for those dreaded “bad hair days.” The cherry on top is that this look can take you from dawn to dusk and works equally well for office, brunch with the girls, shopping, weddings, dates and parties. Is it any wonder that celebrities like Lauren Conrad and Kate Bosworth are jumping on the bandwagon?